152 years ago today, influential Russian painter and art theorist Wassily Wassilyevich Kandinsky was born in Moscow. 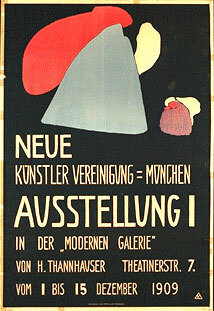 He taught at the Bauhaus School of Art and Architecture from 1922 until 1933 (when it was closed by the Nazis). He then moved to France, where he spent the rest of his life. He died at Neuilly-sur-Seine in 1944.